Before we start creating application, we need to add the references of required css and js files. 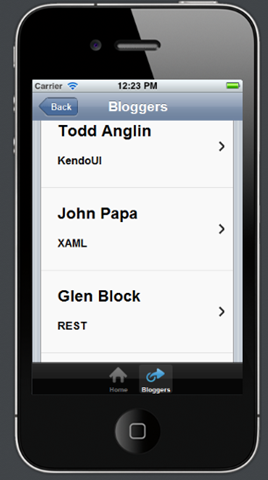 After adding references we need to initlaize the Kendo Mobile Application. Put following code just before closing body tag. In setting view, we are going to put input box and a button. After putting model view we need to open this confirmation box once data is saved successfully. We can do that by modifying savesettings function. After modification function is as following. 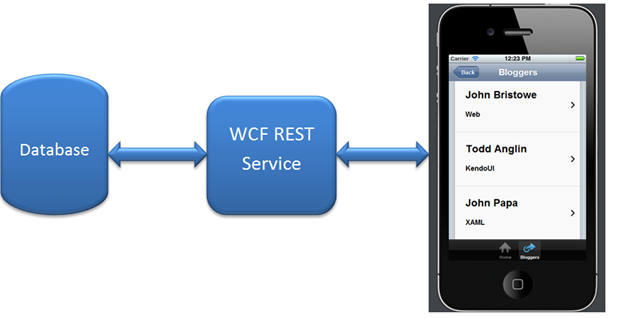 In below function we are getting reference of Kendo UI Mobile Modal View and calling Open method of that. 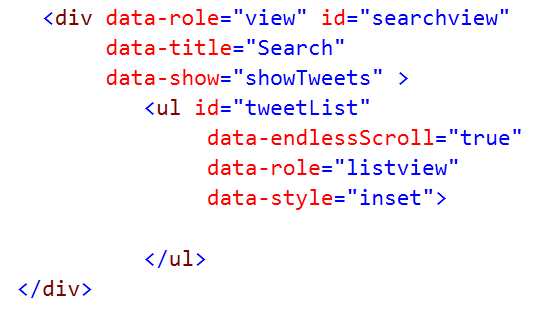 Now we need to create view in which we will show the tweets on basis of the search term. 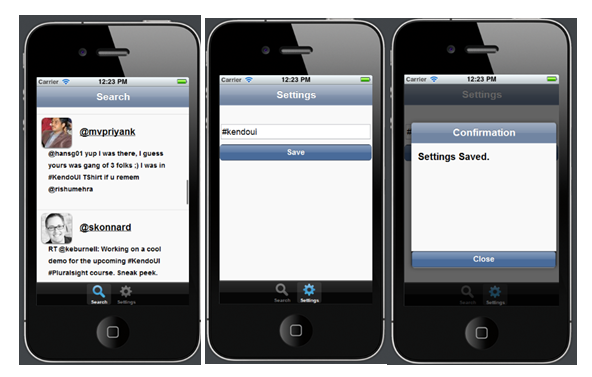 Let us create Kendo UI Mobile View and put a Kendo UI Mobile ListView inside that view. 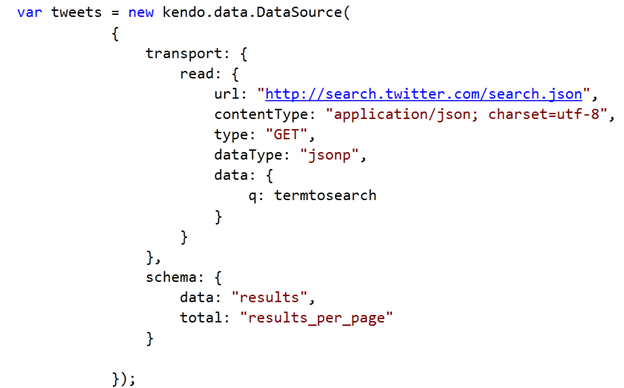 ListView is KendoUI widgets used to show data. Fetched Tweets from Twitter Server will be displayed in the ListView. 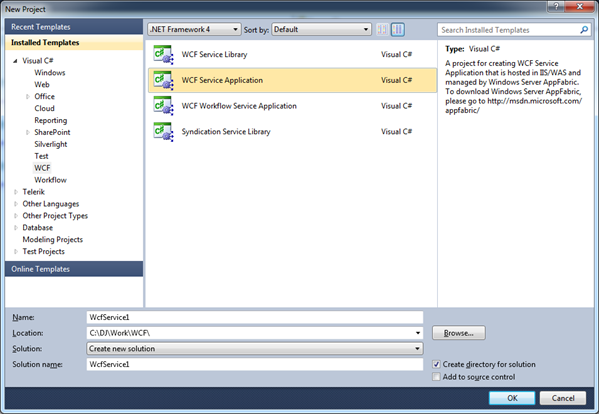 In above code, we are performing the following operations. 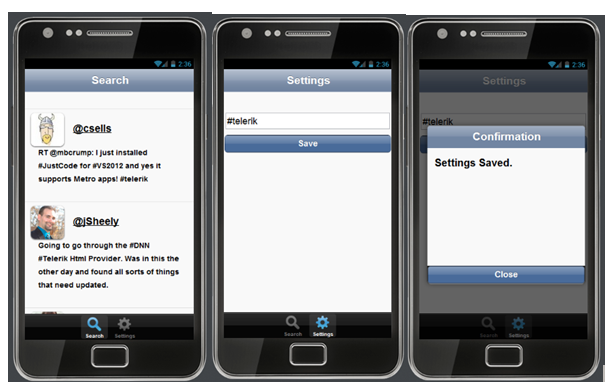 Creating ListView inside mobile view. 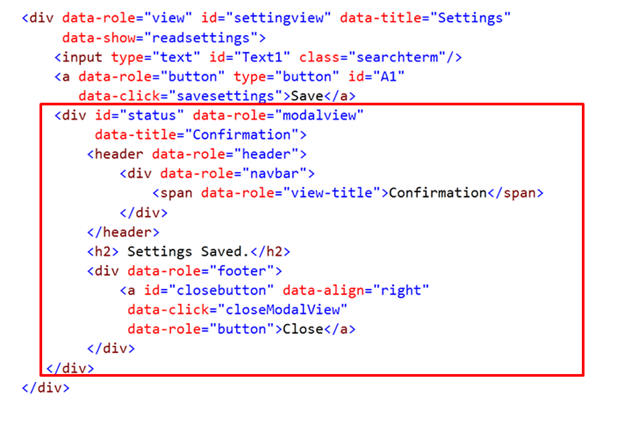 // find the closest modal view, relative to the button element.